Finally a mighty mate as bouncy as your dog! Get your dog the kangaroo he's never been allowed to catch. Kelly the Kangaroo and her Joey are great Aussie mates for your dog. Kelly is tougher than your average soft toy. But we have found that SERIOUS CHEWERs can turn Kelly into toast so if your dog is a chew meister you should go with a Tuffy Toy with a rating 9 or 10 instead. Kelly's designed to be more durable than your average soft toy but she is not a chew toy. 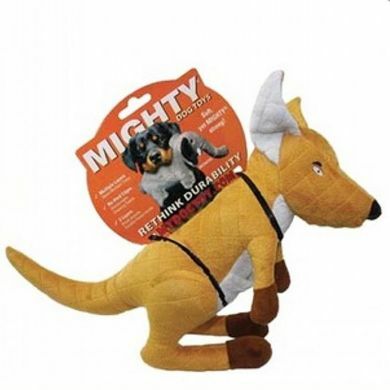 Compared to other toys, Mighty Dog Toys have no hard edges. The result is that these toys do not promote chewing - great when you're trying to discourage chewing habits. These toys may seem plush on the outside, but all the durability features are internal making these toys soft yet stronger than your average soft toy. Please be aware that while tough, Mighty Toys are designed to be play toys and not chew toys. If you are looking for a chew toy, a hard toy from our Tough Chewers section will be a better option. 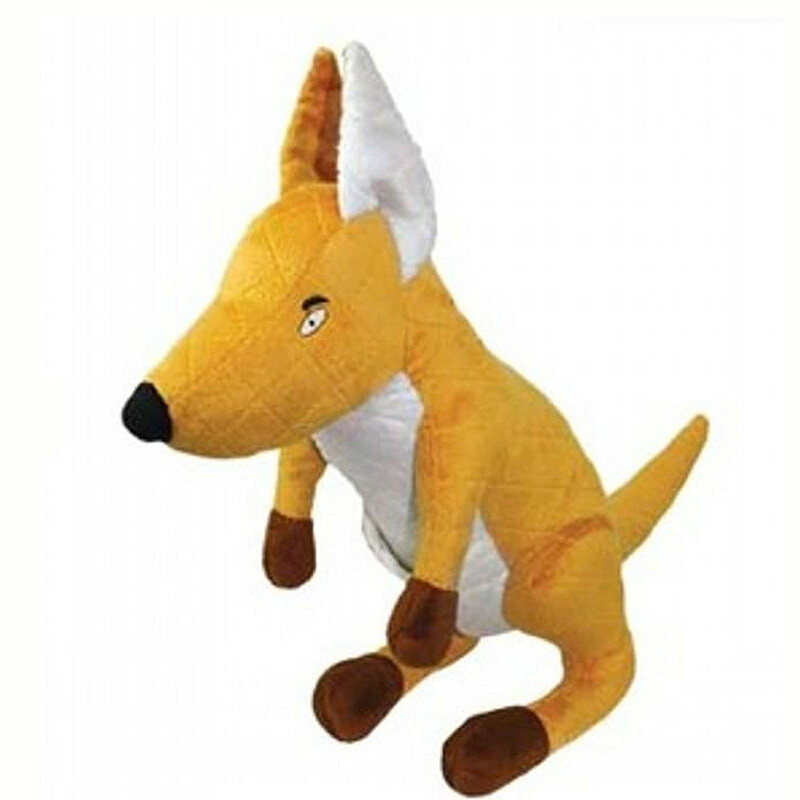 Read 1 customer review of Mighty Dog Toys Kelly the Kangaroo. The average customer rating is 1. We're very disappointed in this toy. We gave it to our greyhound and he tore a hole in it in 10 minutes.